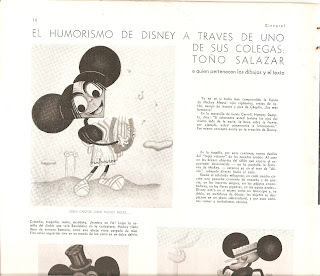 Those great caricatures by artist Toño Salazar were released in the Spanish magazine Cinegraf (July 1935). 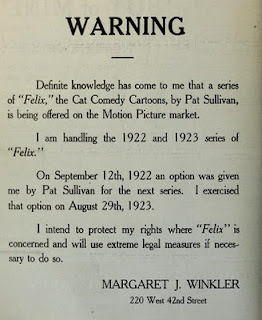 I thought you might enjoy them. 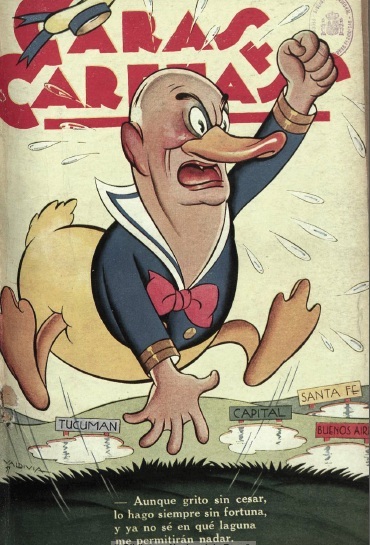 I am certain that some of you will enjoy this caricature by Victor Valdivia released on the cover of the Argentine magazine Caras y Caretas from April 10, 1937. Not sure who the political figure caricatured is. Italy, February 1933, during the carnival of Viareggio. Here is another book about True-Life Adventures naturalist-cinematographers Lois and Herb Crisler, which I had the pleasure to discover a few days ago. 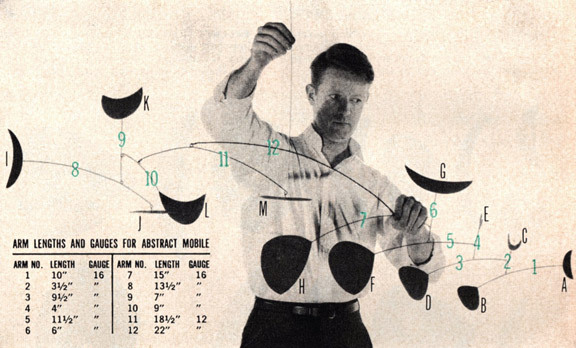 I think that most of you will thoroughly enjoy this article, which I discovered a few days ago. 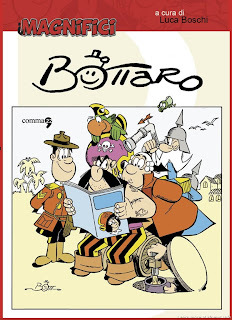 There is an new blog in Italian which will be worth checking out from time to time: La Grotta del Fumetto. 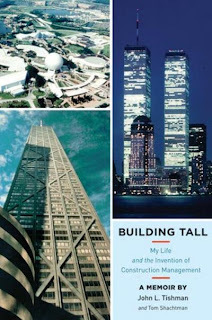 I was caught totally by surprise yesterday when I read about this newly released book. 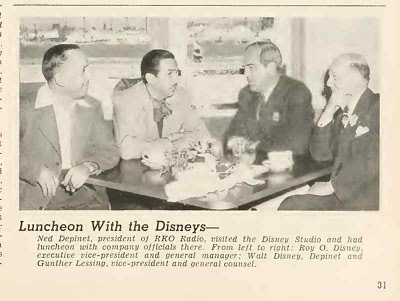 A collection of Disney-related interviews is always a "must-have" for me so I will be ordering right away. 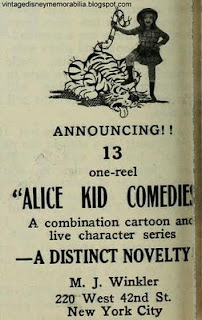 The book includes interviews with Fess Parker (Davy Crockett), Tommy Kirk (Old Yeller, The Shaggy Dog), Ann Jillian (Babes in Toyland), Billy Mumy (Rascal), Arthur Hiller (director of Miracle of the White Stallions), Marta Kristen (Savage Sam), James Drury (Pollyanna, Ten Who Dared), Eddie Hodges (Summer Magic, The Happiest Millionaire), Peter Brown (Summer Magic, A Tiger Walks), and many more. I can't begin to tell you how excited I was to stumble this weekend upon the recently released autobiography of John Tishman. 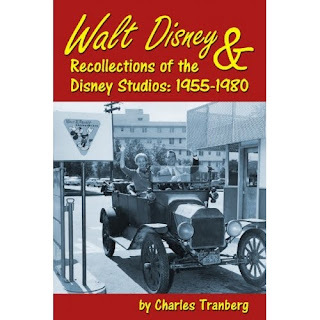 Tishman supervised, among other things, the building of EPCOT, and a whole chapter in this book is dedicated to his experiences with Disney. 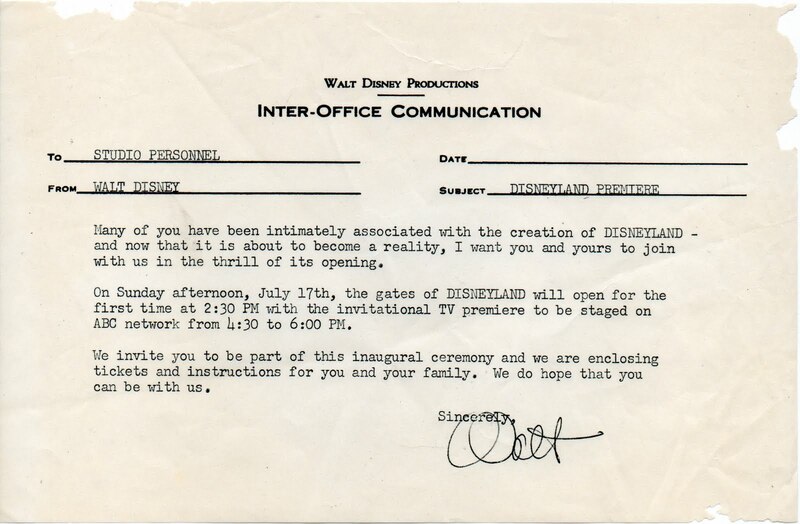 D23 Presents: Armchair Archivist - A Visit To Marceline! 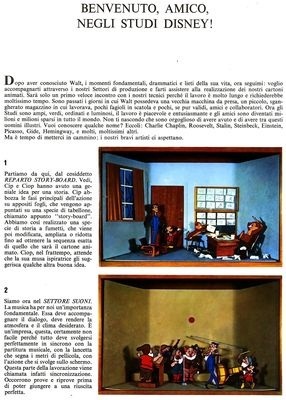 I need help from one of the Italian readers of this blog. 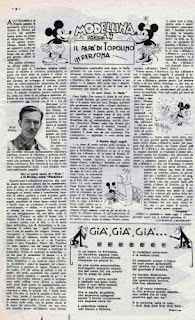 I stumbled upon this article while conducting a totally different search within online Italian archives. Forget the image on the two pages, which is totally irrelevant. 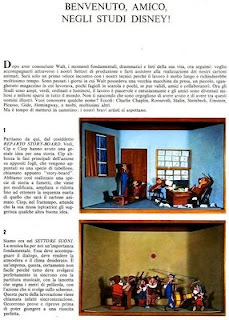 The article itself titled C'era una volta? 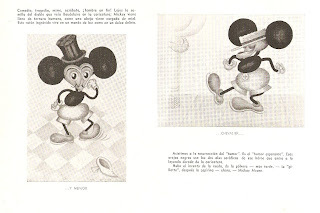 no: c'è adesso, was released in the Italian magazine Cinema illustrazione from June 5, 1935. 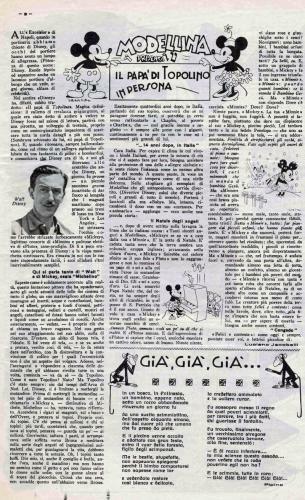 It was written by Luigi A. Garrone, who is credited as a Disney writer on at least one Italian comic book story from 1937 and it is based on an interview with Disney's merchandizing guru Kay Kamen who was spending his honeymoon in Europe at the time. 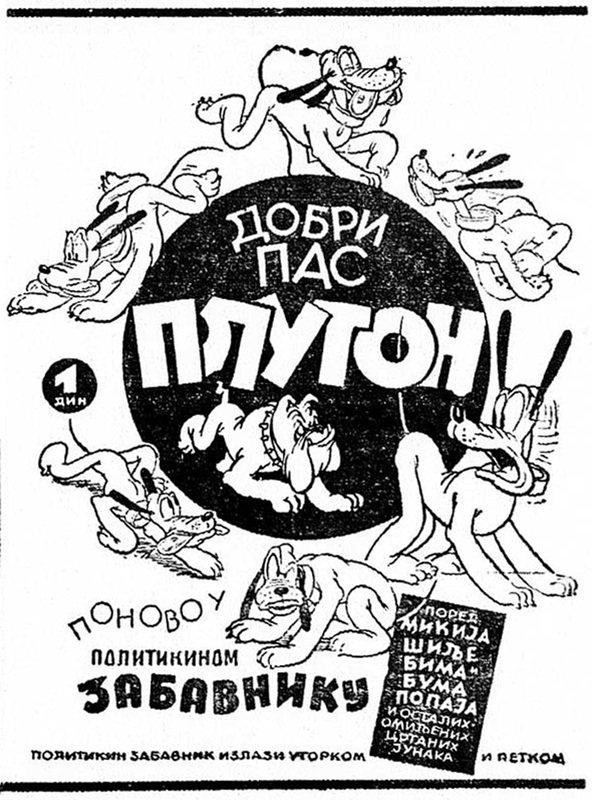 Could one of you translate it for us? 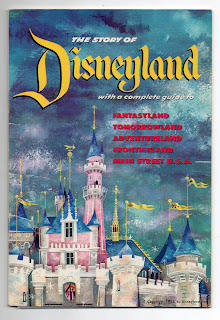 Disneyland - 4.26 - Magic Highway U.S.A.
[While going through some things here at home, I found a Disneyland opening day souvenir guide that my mom and dad had saved. 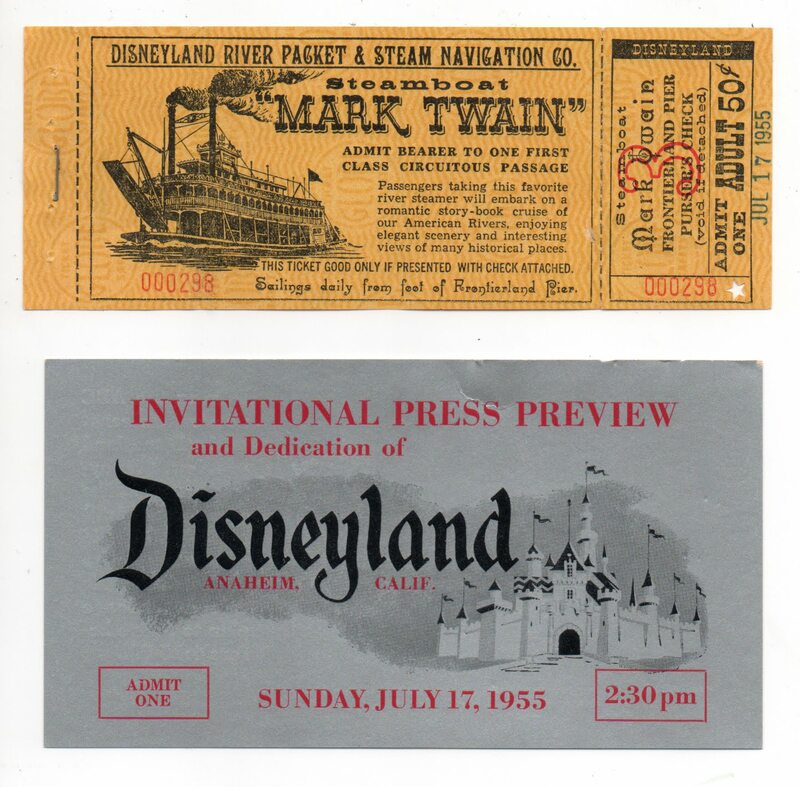 It included a nice invitation note signed by Walt Disney and a few tickets for the Mark Twain riverboat ride and a couple of "press passes". 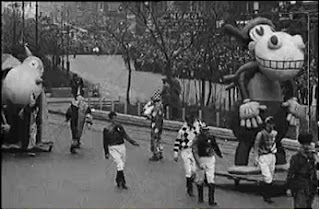 We watched a few months ago the newsreel of the Macy's Parade from 1934. 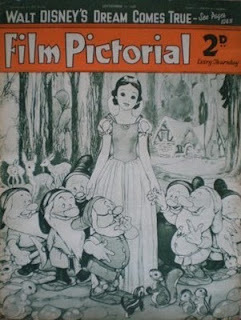 Here is the one from 1935, which includes quite a few more Disney characters. 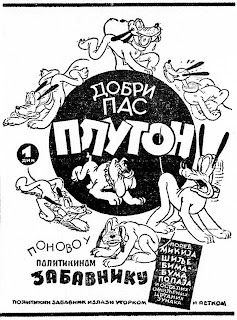 The first one (above) was a privately designed ad for a paint shop in Belgrade (published on June 12th, 1938). 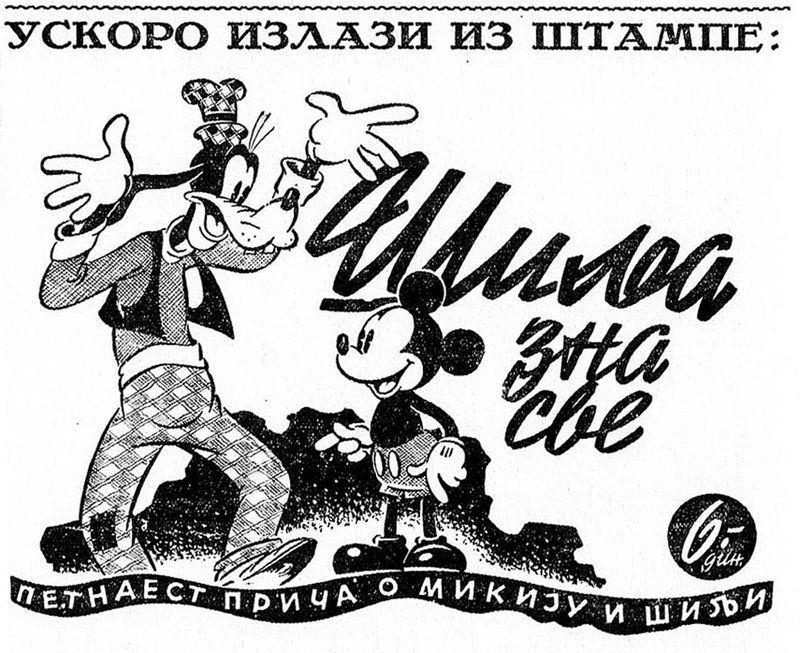 It says: "All the leather made objects, bags,shoes, furniture is painted in a most solid way by Tingirija." 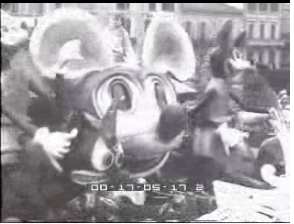 It's funny that they presented the one who works in a paint shop as Mickey Mouse! 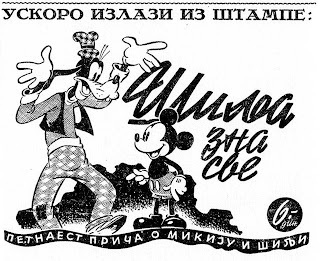 The second ad is for the special edition of Politikin zabavnik, which includes reprints of several strips featuring Goofy and Mickey, and it says : "Soon coming out: Goofy Knows Everything, 15 stories about Mickey and Goofy, Price 6 dinars." Do we have readers of the blog living close to Georgetown University? 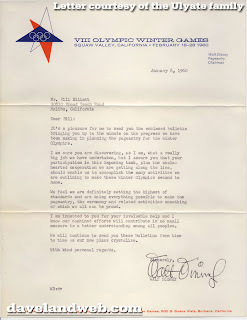 If so, could you email me. 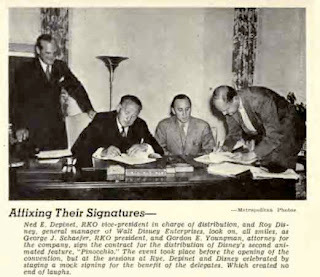 I have just discovered there a few documents related to Disney and WWII and to Disney and the DOD and would need help accessing them. 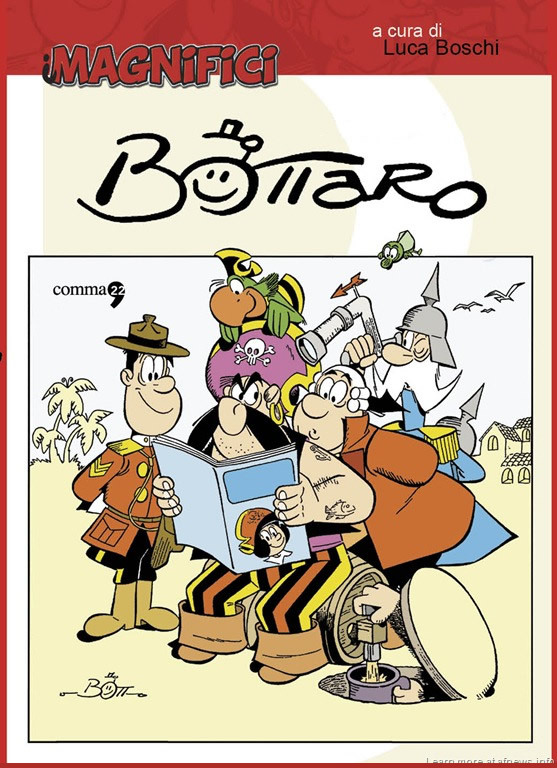 And here is another Italian book I just discovered. Not certain yet how good it is. For those of you who speak Italian, Except for Mickey Mouse. The clash of cultures between fascism and the comics,which I mentioned last week, is an absolute "must have." 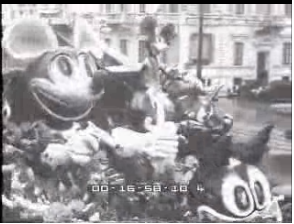 Those images really ring a bell. Could one of you remind me where they were initially released and would you have access to the full series? [Hi there fellow Disney History junkies. 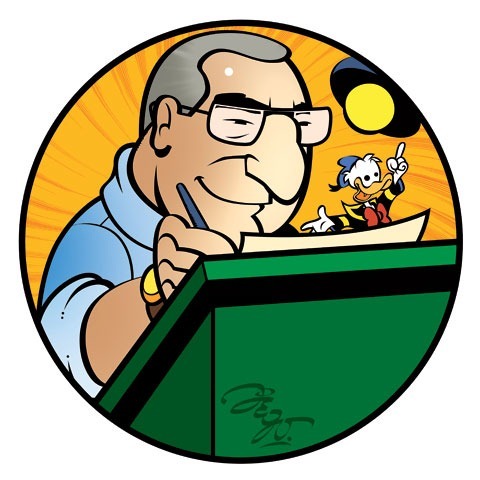 I'm Jeff, and I'm the guy working with Rolly Crump on his memoir. 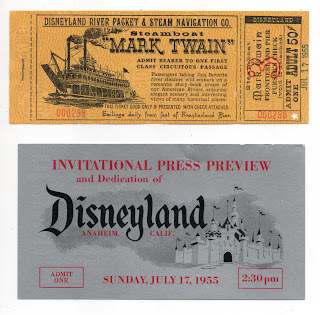 We're looking for some old Disney photos: Adventureland Bazaar in 1963, Tower of Four Winds, Enchanted Tiki Room in the 60s, It's A Small World at World's Fair...All stuff that Rolly brought to life. Can anyone help? 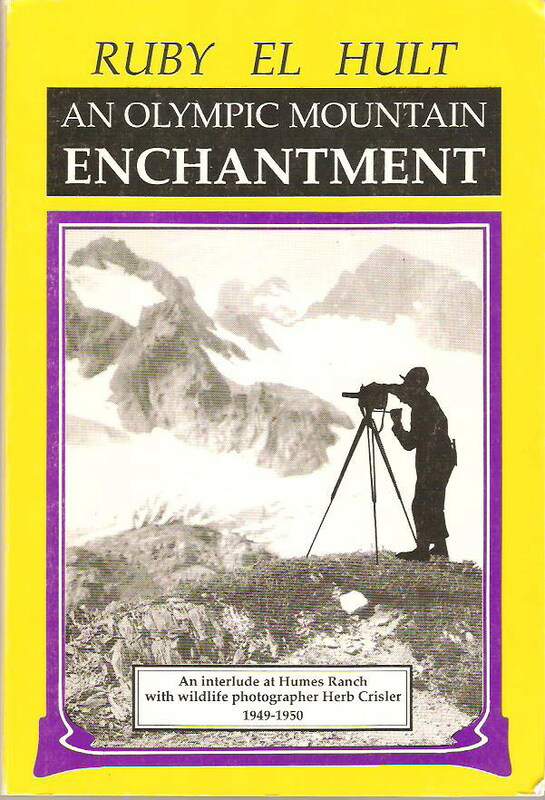 We need more for the book & would love to see any from your personal collection. 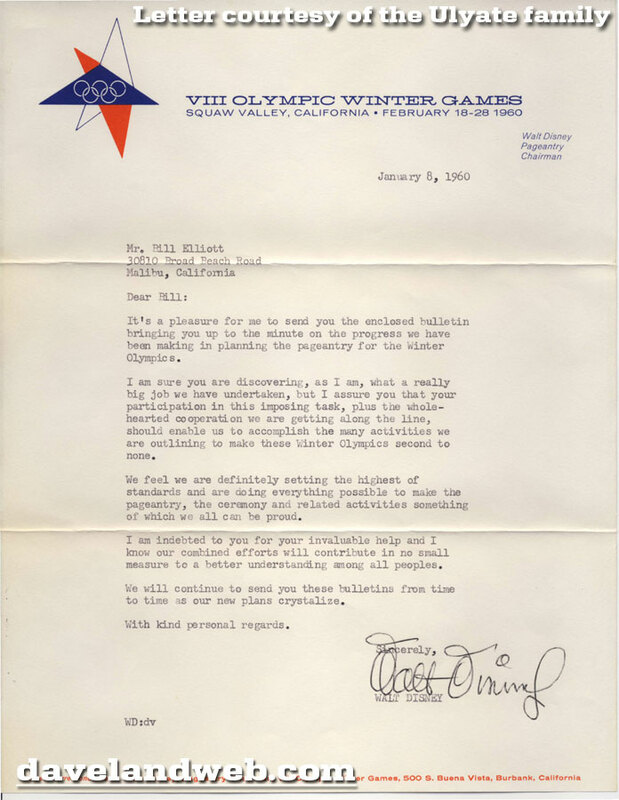 We will gladly give you credit AND a signed copy of the book! [The enlosed photos show Clarence Nash and his Donald Duck Doll. 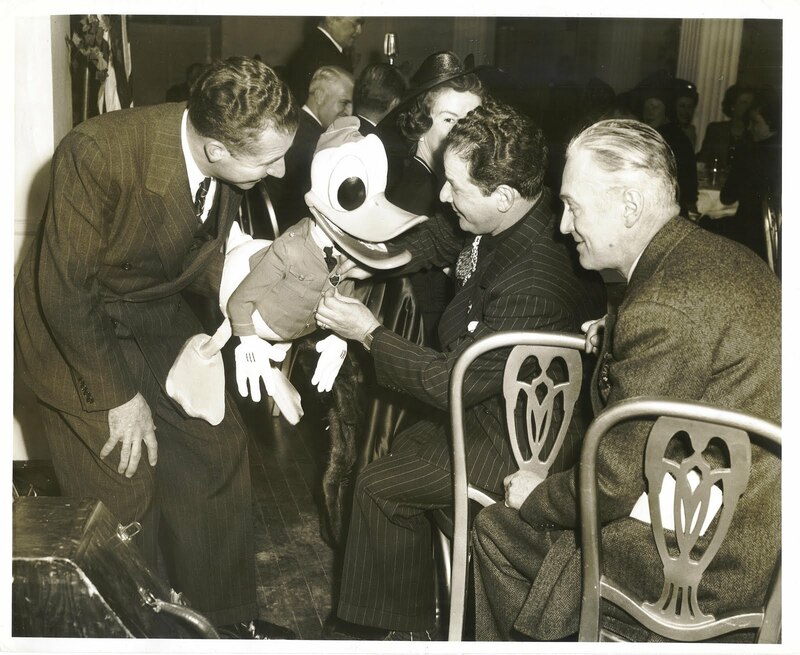 Since the doll wears a uniform, it must have been taken during WWII. 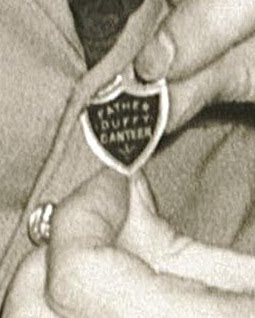 On one of the photos "Donald" is given a badge/pin, and as the photo is of very high resolution it was possible for my son to read on the badge: Father Duffy Canteen. When zooming in on the photo, I was able to read the same. 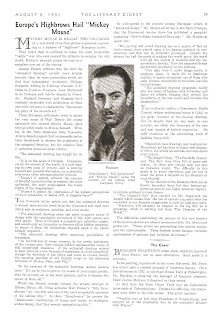 See close-up scan. Father Duffy was a well known person in New York, and probably also in the whole USA and there is a statue of him on Duffy Square. He was an American soldier and Roman Catholic priest - a military chaplain during WWI. and he died in 1932. 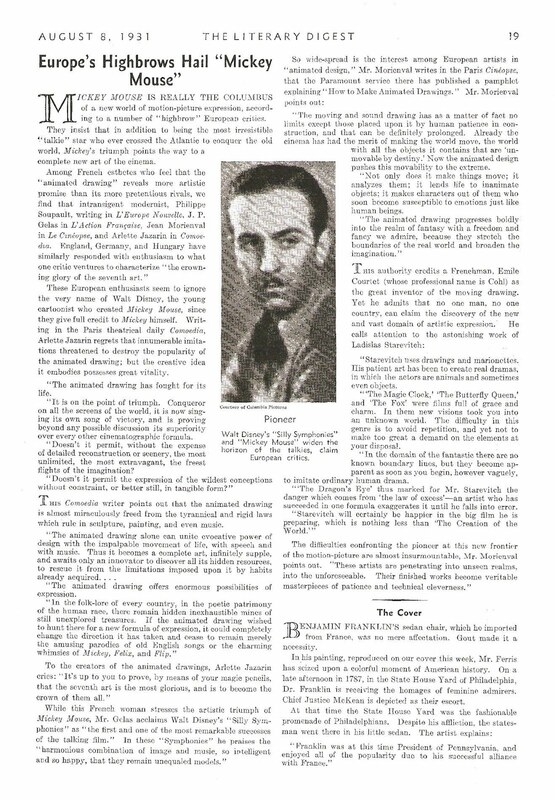 In the 1940s movie The Fighting 69th, Father Duffy is portrayed by Pat O'Brien. 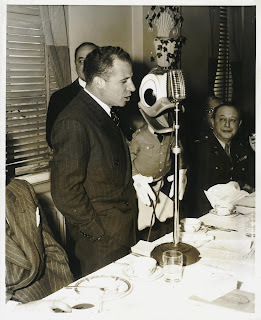 Having a little extra time on my hands I founded the Father Duffy Canteen, Inc., a group of 125 women who nightly with their ambulance canteens cover the water front and anti-aircraft bases of New York, serving the men on sentry duty. We average 60,000 servicemen and women a month, and have served over 1,250,000 since our inception. All food is prepared in Reuben's Restaurant and is financed by public contributions. There are no salaries in the Father Duffy Canteen. The drivers are the USAAC Emergency Corps men. New York, May 22. - Father Duffy Canteen, organized by showfolk and catering to local servicemen, is running a Canteen Ball next Saturday (29) night at the Hotel Astor. 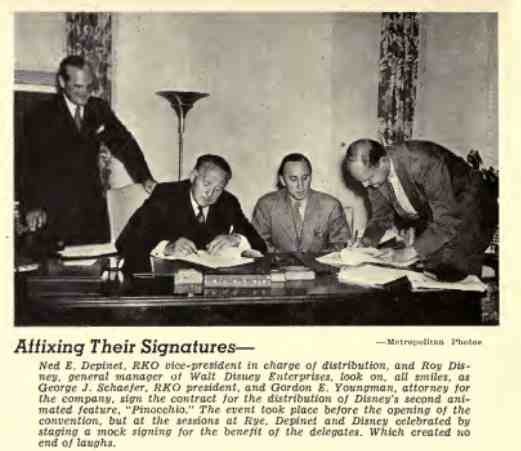 Harry Brandt is chairman of the arrangements committee. 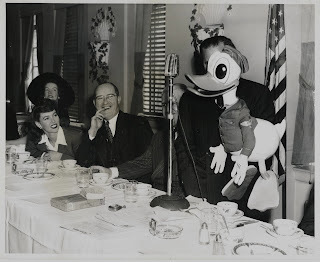 My friend David Lesjak found a couple of newspaper items which show that Nash was in New York for three weeks in March 1943 doing what appeared to be a promo tour for Saludos Amigos. 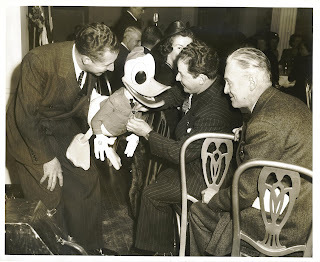 The other was from February 1942 and he was in Niagara Falls (on the American not Canadian side). 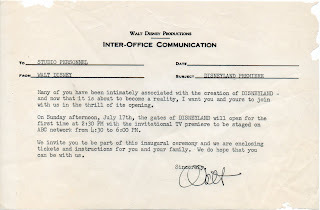 Even if "Donald" was given this badge, it doesn't necessarily mean that this was an event organized by Father Duffy Canteen, but it's not impossible. What seems pretty clear is that it did happen in New York. There's a New York photographer's stamp on the back of the photos. I just learned through the Italian site AFNews that Disney comic book artist Vicar had passed away. 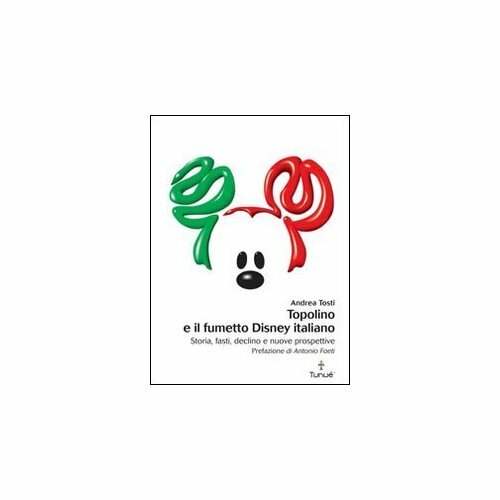 Through AFNews I also discovered two Disney related books in Italian which I had missed at the end of last year. One is titled Except for Mickey Mouse. 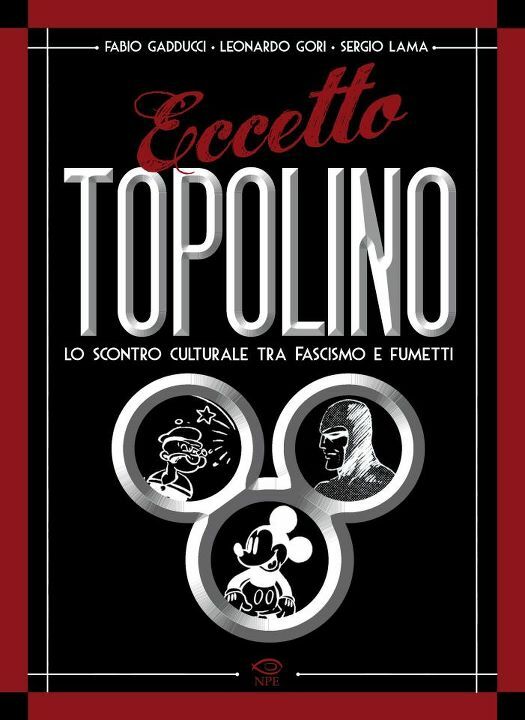 The clash of cultures between fascism and the comics, the other deals with famous Italian Disney comic book artist Luciano Bottaro. I will pick up both of them soon. Last week Greg Heberlein made me discover a great site which I believe some of you will enjoy, about True-Life Adventures cinematographers Lois and Herb Crisler. 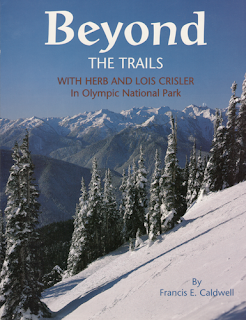 In his turn the owner of the site, Jim Wohlhueter recommended at least one book about the Crislers: Beyond the Trails by Francis E. Caldwell. 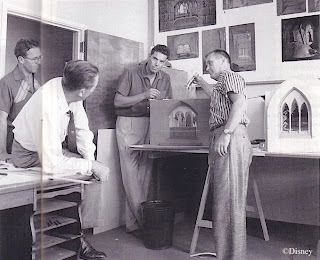 The blog will be updated again on Monday. I thought you might enjoy those two photos from BoxOffice magazine. The one above was released in the June 24, 1939 issue, the one below in the March 20, 1943 issue. I am always trying to locate little known autobiographies containing a few pages about someone's work at Disney. 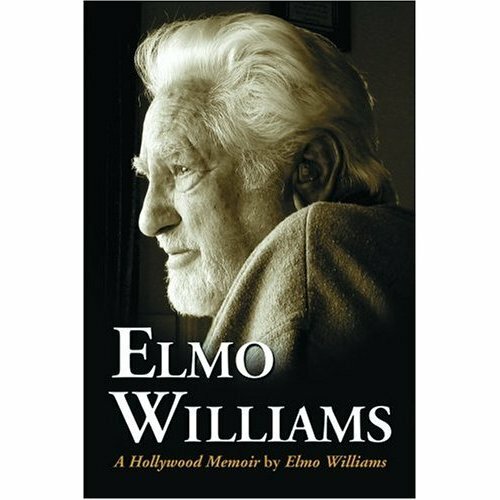 This book by film editor Elmo Williams discusses briefly his work on 20,000 Leagues Under the Sea. I may pick it up at some point. 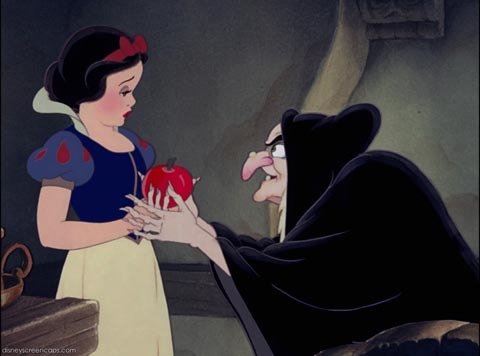 Here is to start 2012 with a smile. To 2011 I say: good riddance. 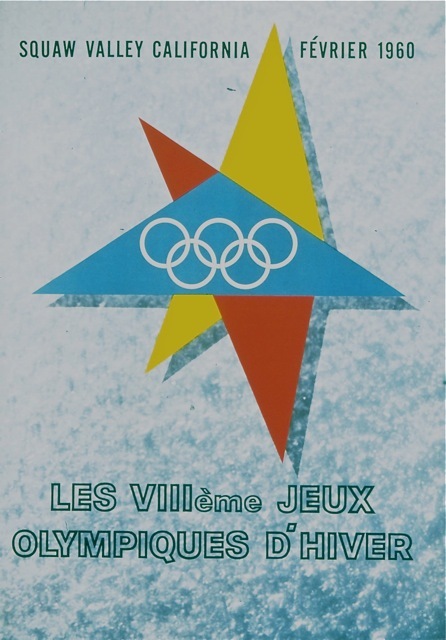 Happy New Year to all of you!